What should you prepare for the next rehearsal? What was rehearsed at the last rehearsal? The rehearsal on 12th March will be held at St Thomas’s Church, Salisbury. Nearest parking is at the Central Car Park. On 15th January we will rehearse in the gym at Salisbury Cathedral School, 1 The Close, Salisbury SP1 2EQ. You may park in the school car park. Ash Mills took some super photographs of the Saturday afternoon rehearsal and the concert itself. Some of you may have seen a few on our Facebook page so you know how good they are. You can view the complete set of photographs by clicking here. If you would like to buy copies of any of the photographs please follow the instructions Ash’s website. Audience Figure for last Saturday’s War Requiem was circa 830. This figure is +/- 10 or so as it was extremely difficult to reconcile unreserved tickets sales on the door on the night, and indeed in advance, as these tickets were not numbered. All reserved seats had been sold in advance. 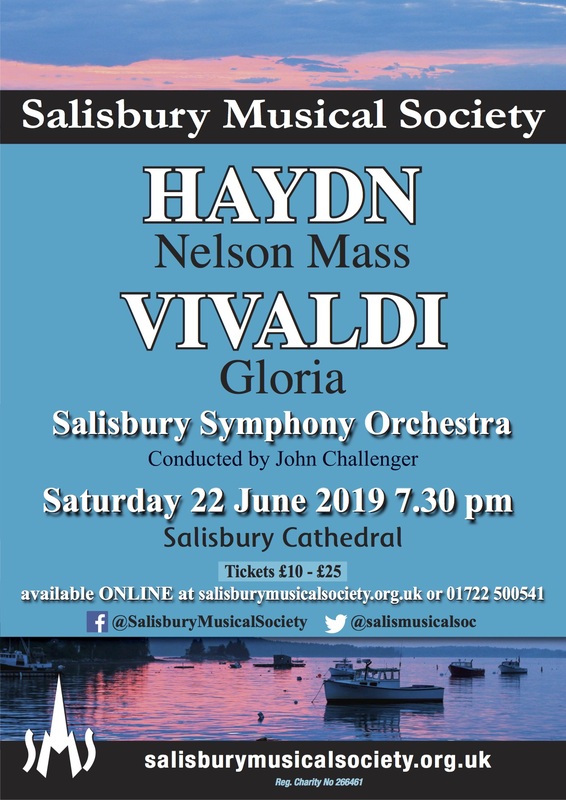 This is the highest audience figure for an SMS concert since May 2008 (Elgar’s ‘Dream of Gerontius’ – 1013 audience) and May 2009 (Chilcott’s ‘Salisbury Vespers -1400 audience) since my records began in 1997. Last time SMS performed the War Requiem in April 2006 attracted 585 audience. Please note that only unreserved seat tickets at £10 are now available for the War Requiem concert which can be obtained from Salisbury Playhouse all other tickets having been sold. After much discussion and debate over the last few months, a vote was taken as to whether we remain as Salisbury Musical Society, or change to Salisbury Choral Society. Under the terms of the Constitution a 2/3 majority of those voting was required for a change to be carried. This means we will not be changing our name. Thank you to everyone for participating in this important vote. It’s important that all members help sell tickets to ensure our concerts are well attended. Follow the links to buy tickets online or, for the best tickets, these will continue to be offered first to patrons, and at rehearsals to members. Your Librarian is Lindsay Devine. She is responsible for arranging for the purchase and hire of all music copies for the choir. She will tell you when music is to be ordered. If you do not meet her deadline you will have to obtain your own music.